33, Rue Dauphine, Saint-Germain, 75006, Paris, Paris, Ile de France, FRANCE. 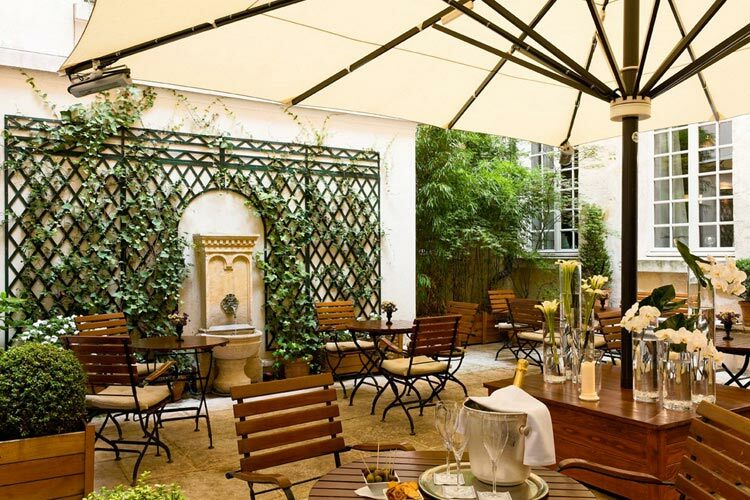 Enjoying a privileged location in the heart of Saint-Germain-des-Prés, in the chic 6th arrondissement of Paris, Hotel d'Aubusson is situated in a carefully restored historic mansion, originally built in the 17th century. After a long a colourful history, this fabulous boutique property offers exclusive accommodation in a highly central setting. 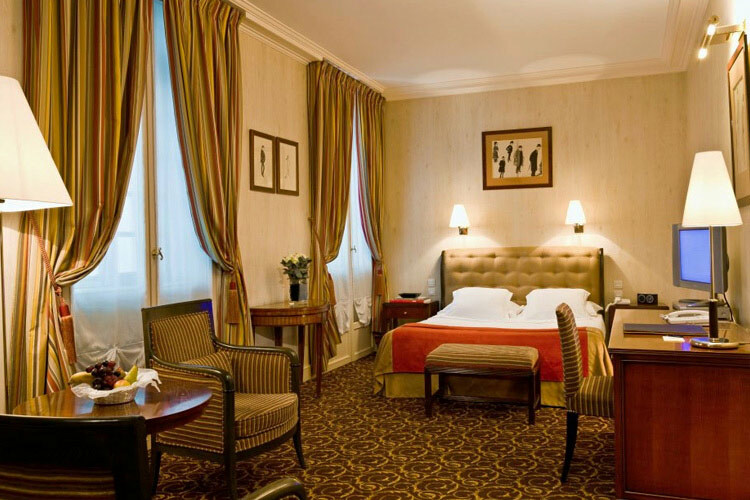 Perfect for relaxing visits to this magnificent city, Hotel d'Aubusson is within easy walking distance of many of the most important landmarks and attractions of Paris, including Notre-Dame, the Louvre and the Musée d'Orsay. 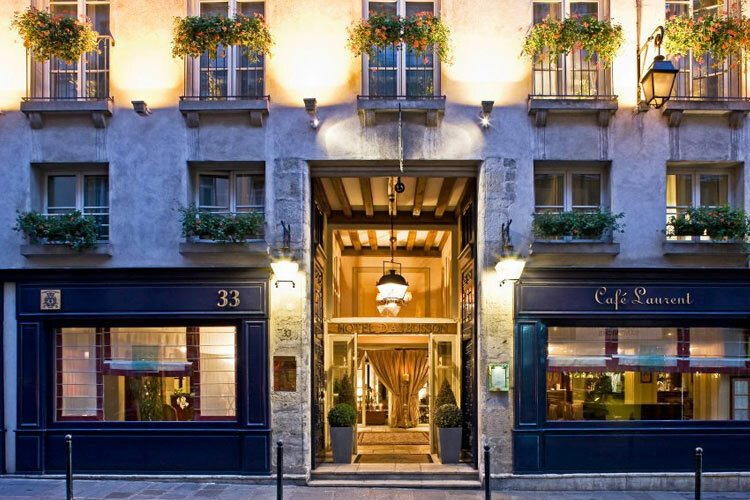 The streets of Saint Germain and the Latin Quarter are replete with taverns, cafés and restaurants, and of course some of the most fascinating and fashionable shopping in the world. 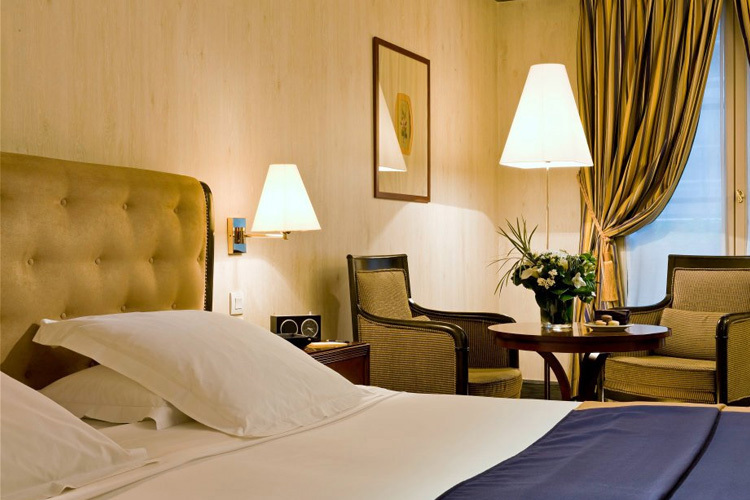 Odeon and Mabillon metro stations are within a five minute walk from the hotel, providing excellent links with the rest of the city and the metropolitan area. A magnificent buffet breakfast is served every morning in the hotel's elegant dining area, and guests can choose from a huge range of pastries, breads, natural and fruit yoghurts, fresh fruit, assorted cold cuts, a selection of cheeses as well as a hot buffet and à la carte menu. 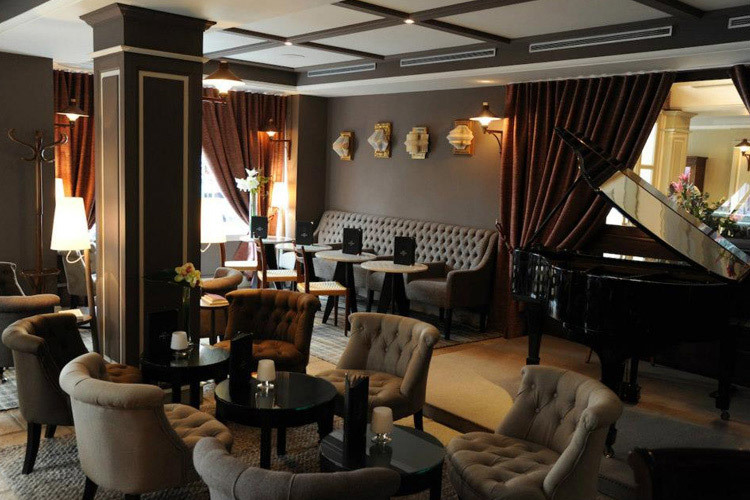 Another unique feature of the hotel is the historic Café Laurent, serving fine wines and exclusive cocktails, to the background of twice-nightly jazz concerts in an authentic left-bank atmosphere. 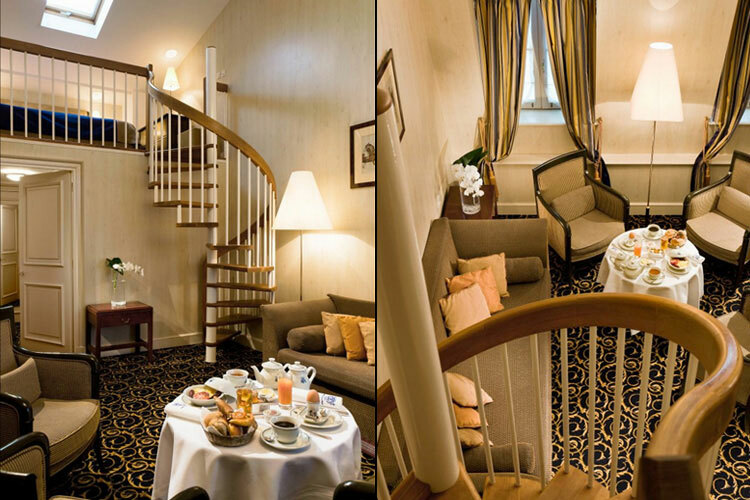 These elegantly furnished rooms offer views over Rue Dauphine, and feature a queen-size bed, a flat-screen TV and a DVD player. 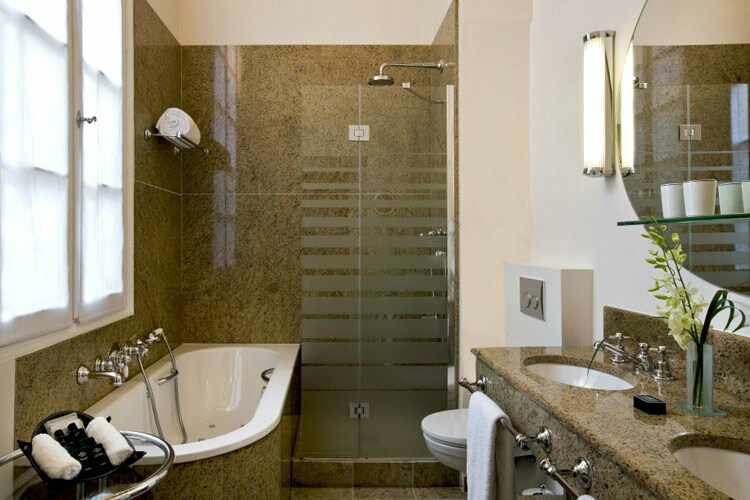 They come with a fully equipped en-suite bathroom, and can accommodate two guests. Room size approximately 20 sq m.
The Superior rooms are cosy yet sophisticated and are equipped with twin beds or a Queen size bed, a flat screen tv & DVD player. They offer views over Rue Dauphine or Rue Christine. Fully equipped en-suite bathroom. Some of these rooms can accommodate a third guest with one extra single bed. 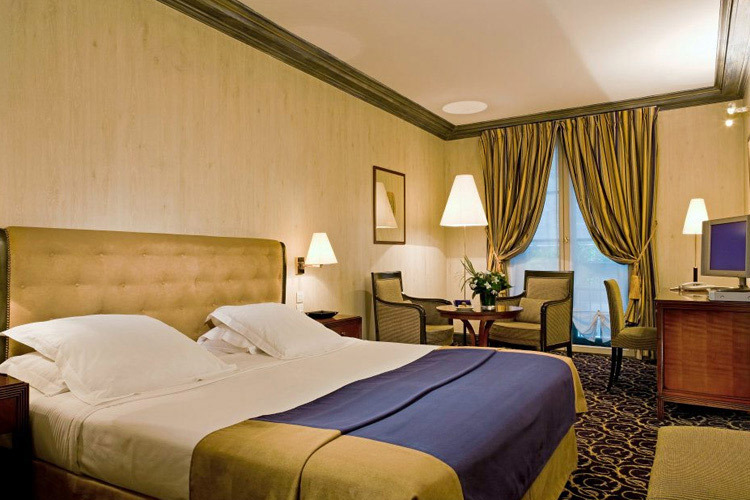 Room size approximately 25 sq m.
These large, quiet rooms share a view over one of the hotel's two inner courtyards. 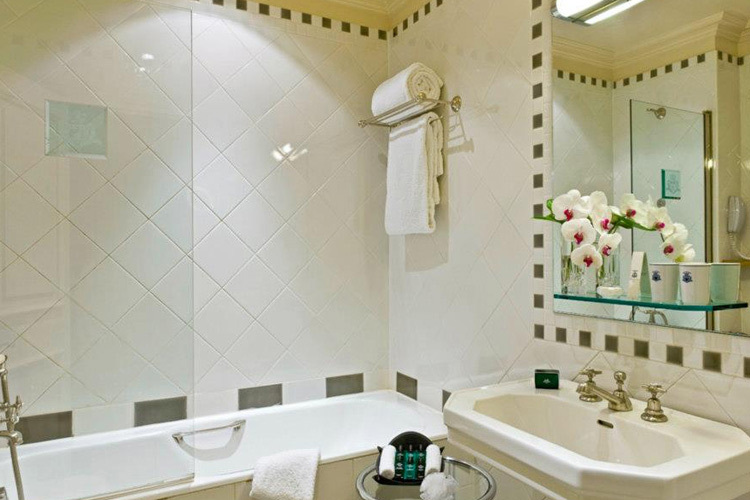 Each room has been carefully decorated with stylish furniture and the bathrooms feature a whirlpool bath tub. 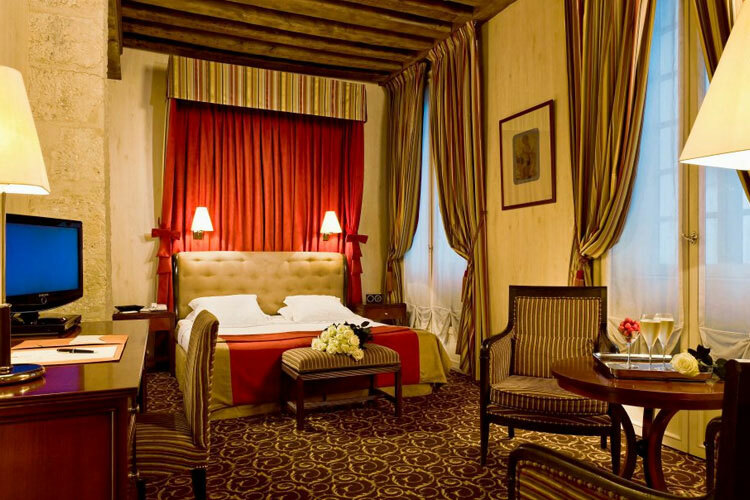 These rooms feature a queen-size bed or twin beds, and can accommodate up to three guests. Views are over Rue Dauphine. One extra bed available on request. 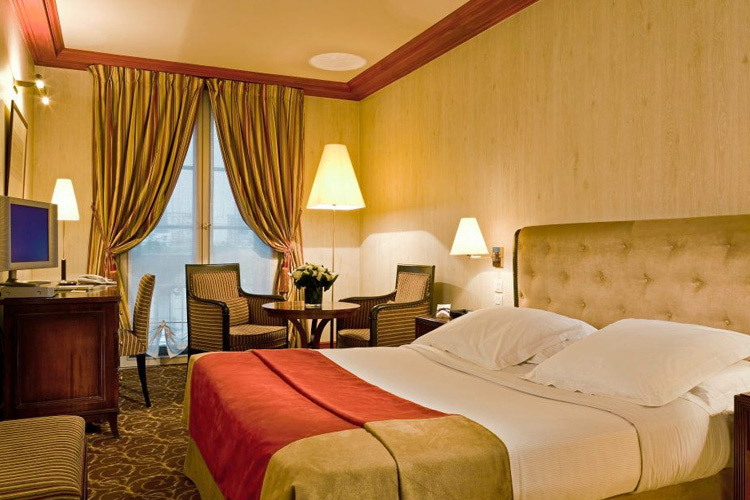 Room size: 30 sq m.
These family-friendly room are ideal for two adults and up to tww children. Guests can chose between between twin beds or a queen sized bed, and these loft inspired rooms are also equipped with tea/coffee making facilities. 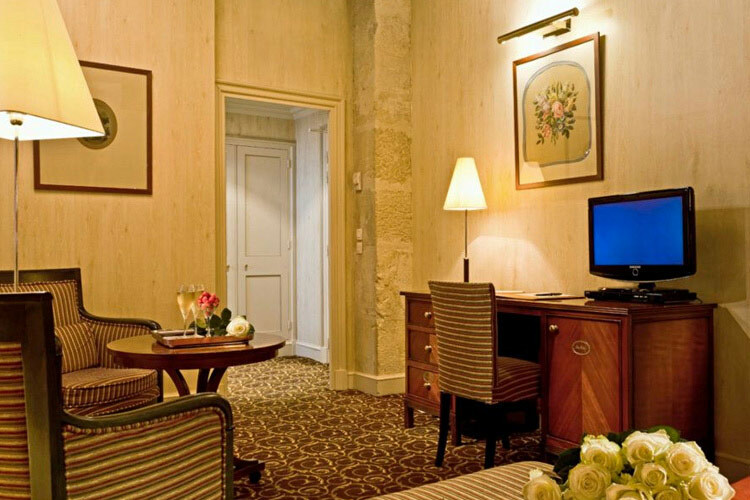 They offer views of Rue Dauphine or the hotel's quiet courtyard, and feature a fully equipped en-suite bathroom. Maximum capacity three to four guests. One large double bed or twin beds, up to two extra single beds. 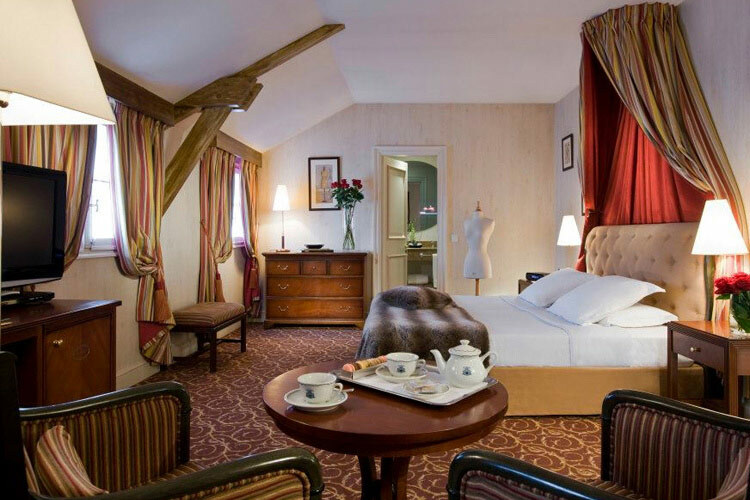 Room size 34 sq m.
The Junior Suites of Hotel d'Aubusson are all different in character and highly spacious. 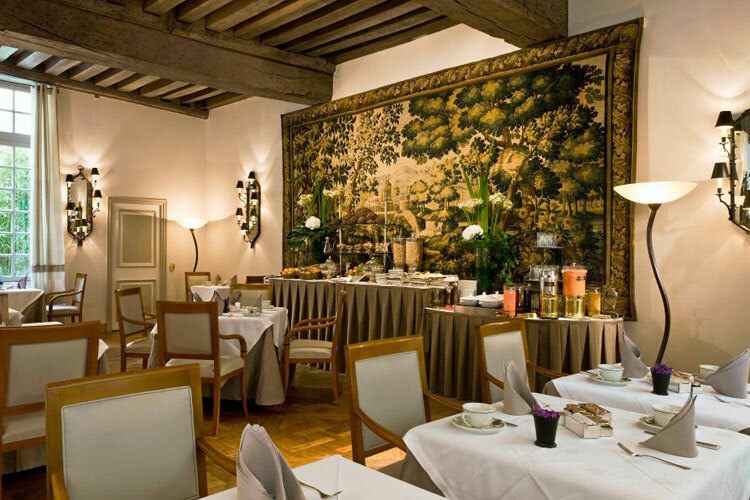 The elegant yet intimate décor makes then a perfect setting for honeymooners or anniversary celebrations. 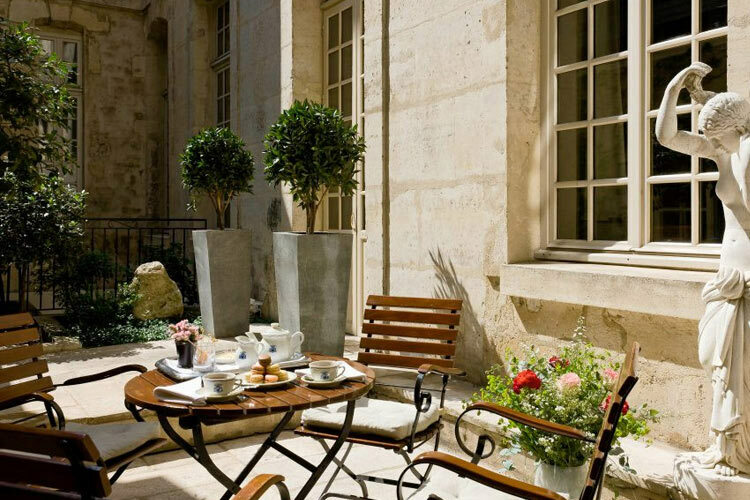 They offer views of Rue Christine or the quiet courtyard of the hotel. They can accommodate up to three guests, and feature a fully equipped en-suite bathroom. One large double bed. One extra bed available on request. 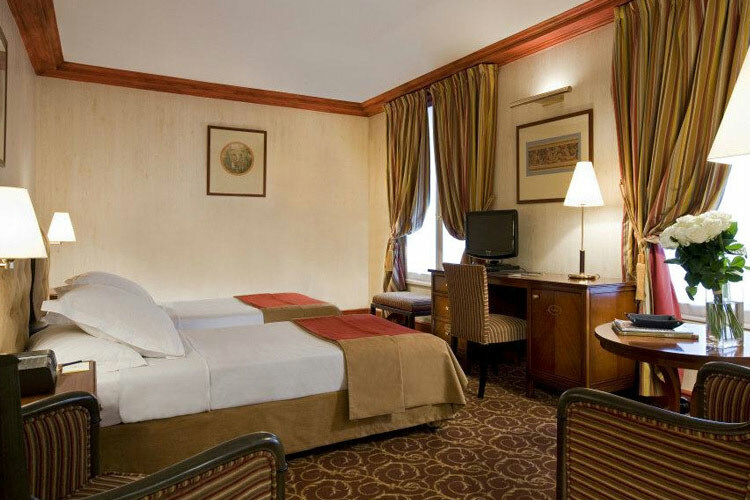 Room size 34 sq m.
All rooms and suites feature: Wireless internet access; iPod docking station; satellite television; climate control; sound proofing; direct-dial telephone; mini-bar; hair dryer; in-room safe; mahogany work desk; iron/ironing board. Extra beds and baby cots are available on request. Airport transfers are available on prior request. Credit cards accepted: American Express, Visa, Euro/Mastercard, Diners Club, Carte Bleue, JCB, Maestro. 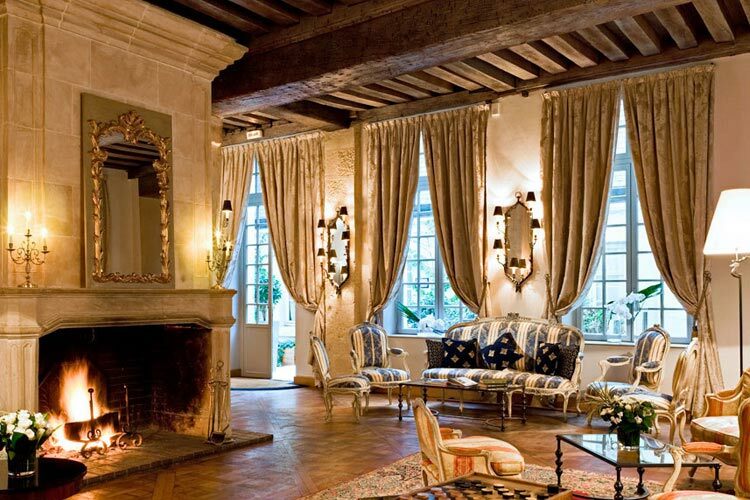 Nearest airport: Paris-Orly - 15,5 km. Golf 15,1 km: Golf de Saint-Cloud.